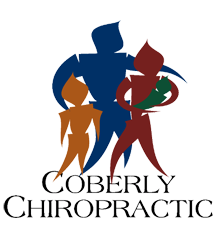 Low Back & Leg Pain: How Chiropractic Helps Radiculopathy – Coberly Chiropractic, Inc.
Low back pain affects millions of people each year and is the number one cause of disability worldwide. In the US, it is estimated that 31 million people experience pain in their lower back. It is prevalent and can be debilitating. As patients search for relief, they soon find that not all lumbar pain is created equal. There are many causes and treatments vary widely depending on the issue. Radiculopathy is a condition that can contribute to lower back pain, but chiropractic care can help patients better manage it. Radiculopathy is associated with some of the most significant causes of chronic or acute low back pain. However, it is important to note that the condition itself does not cause the pain. Instead, elements of radiculopathy, such as disc herniation, nerve root impingement, and facet arthropathy are actually what cause the pain. Radiculopathy is a condition of the spine that occurs when a nerve is compressed, causing pain, weakness, tingling, or numbness along the nerve’s course. In the lower back, that course is in the leg. While it is most common in the lower back, radiculopathy can occur in the cervical or thoracic regions of the spine as well. 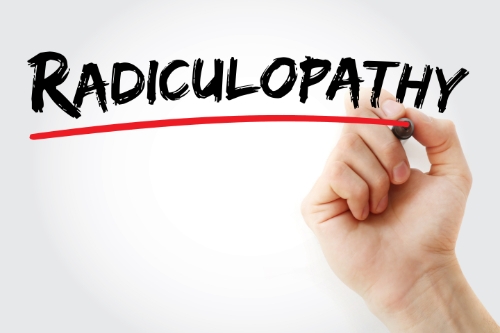 The symptoms of lumbar radiculopathy include pain, tingling, and numbness in the legs. Some patients experience extreme, painful sensitivity to light touch. The nerves in the lumbar region of the spine supply sensations to the buttocks and legs as well as control muscles. So, when a nerve is compressed in the lumbar spine, those are the areas that are affected. The condition is often called a “pinched nerve” or sciatica because of the way that the pain radiates through the buttock and into the leg. Degeneration or trauma can cause inflammation in the spinal nerves which can lead to pain. Certain people are more prone to radiculopathy based on the activities they engage in and their genetics. Patients who regularly engage in contact sports, heavy labor, or any activity that puts a repetitive or excessive load on the back are more likely to have the condition. Patients who have a family history of spine disorders, including radiculopathy are also more at risk of developing it. A review published in the Journal of Chiropractic Medicine examined 162 patients with radiculopathy who were treated with chiropractic care. Of those patients, more than 85% not only experienced pain relief, but their conditions were resolved. This was done over 9 treatment sessions. Most of the patients saw improvement of their symptoms within 4 days of their first treatment. There are a number of treatments for lumbar radiculopathy, including pain medication, epidural steroid injection, and surgery. However, chiropractic care is non-invasive and does not have the unpleasant, sometimes harmful of many pain medications. It is safe and effective, treating the entire body instead of just the part that hurts. When treating lumbar radiculopathy, the chiropractor may use several techniques such as spinal adjustments as well as stabilization exercise and neuromobilization. They will also work with the patient to determine if there are engaging in any activities that increase their risk factor for the condition. In some cases, the chiropractor may recommend certain lifestyle and dietary changes to increase whole body wellness and a stronger, healthier spine.